Over the last few years Gharb Aswan, at the west bank of the Nile just opposite Aswan city, has emerged as an important rock art location. This is due to new surveys by the QuarryScapes project and the Aswan-Kom Ombo archaeological project. Dozens of sites with thousands of images ranging in time from the Epipalaeolithic (5-7.000 BC) to the Roman period (and later) have been discovered. Arguably, the most important findings so far is the corpus of Epipalaeolitic to Neolithic geometric rock art, as well as Late Predynastic images that incorporate royal scenes from the dawn of Pharaonic culture. Geometric rock art: An animal? A net? An idea? A concept? Epipalaeolithic petroglyphs were discovered by myself and my colleagues in the QuarryScapes project as we looked for ancient stone quarries in the region. Geometric motifs range from simple lines and circles to highly complex compositions and the findings imply that Gharb Aswan ties in with Abka i Lower Nubia, el-Hosh in Upper Egypt and a few other sites in the region. 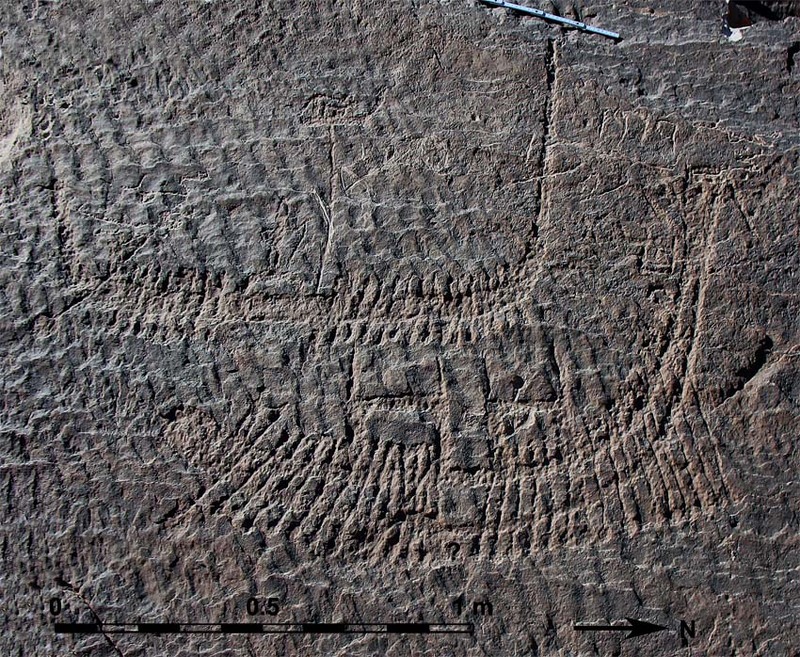 The images are thought to be the expression of highly mobile groups that ranged across Lower Nubia, Eastern Sahara and Upper Egypt as the climate was more favourable 6-9.000 years ago. This entry was posted in Ancient Egypt, Archaeology, Rock art and tagged Ancient Egypt, Aswan, Gharb Aswan, Nubia, rock art. Bookmark the permalink.